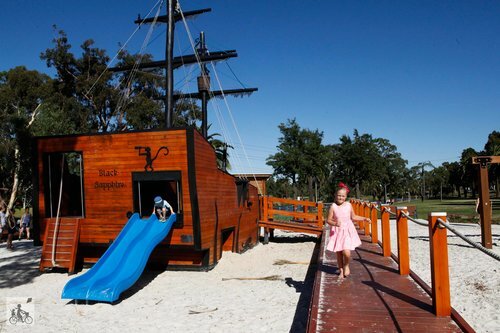 This has always been one of Mamma's favourite parks and has recently had a fantastic upgrade and is open for P.L.A.Y! 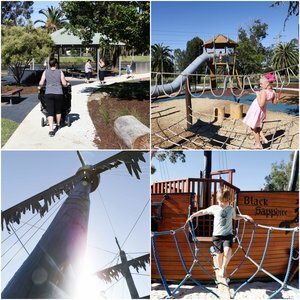 The new inclusions of swings, climbing frame, a fantastic BBQ and shelter areas, new seating and a new slide slide too plus lots of new plants and trees planted around the park. 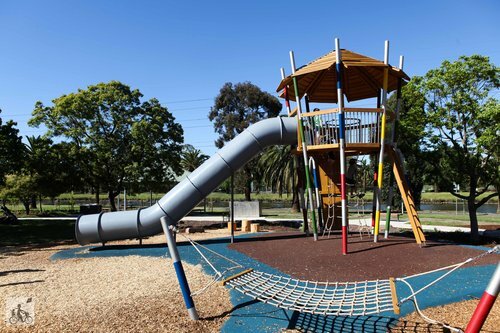 The park itself is right on the banks of the Maribyrnong River and somewhere you will want to spend extra time, its always busy with families picnicking and enjoying this very special place. Get on board me hearties. The black sapphire ship is sitting in a huge freshly dumped sandpit - so buckets and spades are a must for treasure huntin' me hearties! Mamma's special mention: Take a short drive to Hungry Fox for some lunch! bbq's - park benches - lots of free parking - picnic tables - pram access - public toilets - lots of shade - shelters.